Colombo, Nov 30 (newsin.asia) – A majority of Sri Lankan legislators, on Friday voted in favor of a parliamentary motion to halt finances to former president Mahinda Rajapakse’s cabinet and junior ministers, a day after Parliament also passed a motion to cut finances to the Prime Minister’s office. Amidst a severe political turmoil ongoing in the island country, the motion to cut finances to the ministries was submitted to Parliament by MP Champika Ranawaka from the Jathika Hela Urumaya, a party loyal to ousted Prime Minister Ranil Wickremesinghe. 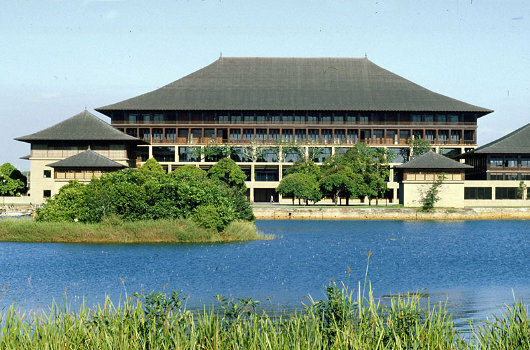 The motion was passed with 122 MPs in the 225 member Parliament voting in favor whilst MPs from Rajapakse’s government boycotted Parliamentary sessions for the fourth consecutive time. “The motion to cut down the expenditures of ministers, deputy ministers, and state ministers is passed,” Speaker Karu Jayasuriya announced following the vote.He earlier said he would officially inform ministry secretaries of the decision. Sri Lanka Freedom Party legislator, Anura Priyadharshana Yapa, who is part of Rajapakse’s new cabinet said they would not accept the vote passed on Thursday and Friday in Parliament as it was illegal. “We have mentioned this to the speaker too. We will not attend such illegal motions,” Yapa told journalists from the Parliamentary complex. Rajapake, who was sworn in as the new Prime Minister by President Maithripala Sirisena on Oct 26, has maintained his party will boycott Parliament till such time Speaker Jayasuriya recognizes them as the government. His party, the Sri Lanka Podujana Peramuna has alleged that the Speaker was acting in favor of Ranil Wickremesinghe and his party, the United National Party, by announcing last week that there was no Prime Minister or government in the country. Sri Lanka has been embroiled in a severe political turmoil, when on Oct 26, President Sirisena surprisingly sacked his cabinet and Prime Minister Ranil Wickremesinghe and appointed former president Mahinda Rajapakse to the post and appointed a new caretaker government. The UNP have alleged that the appointment was unconstitutional and have claimed that Rajapakse’s government lacked the majority in Parliament.